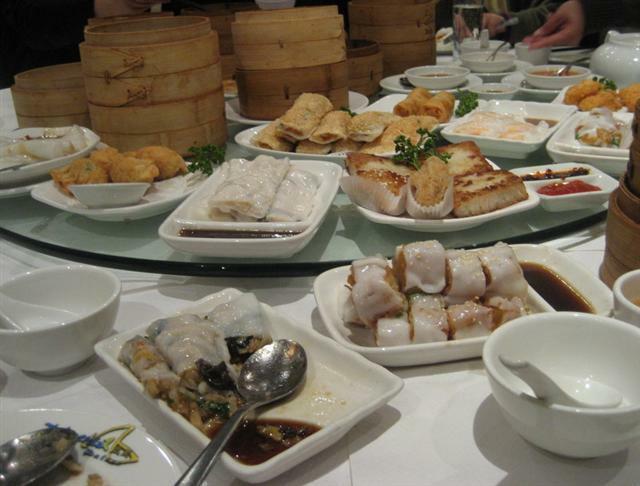 A variety of steamed, fried and oven baked dim sum was had, each having their own unique delicious flavour . My favourite was the mini onion pancakes. These were little round oven baked parcels with spring onion. The steamed vegetarian dumplings presented in the bamboo steamed baskets were good. The rice pasta with peanut sauce and yellow bean sauce were rice tubes with a gooey consistency. Two of the fried dim sum that we had were the vegetarian roll and the crispy dough stick. The former had lots of vegetables but was just that little bit too oily. I would describe the crispy dough stick as a fried layer of dough which was then wrapped in the rice pasta. Most of the dishes come with various dipping sauces. After resting for a while and after lots of talking, we had room for the sweet delightful treats of the dessert dim sum. The chilled mango pudding is a must for mango lovers. It is a bit like a mango blamanche. A different option is the black sesame in a gluten ball. It tastes far better than it looks. I was surprised by its jelly like consistency. I was looking forward to the egg tart but I was a little disappointed by it. The reason being it tasted more eggy rather than sweet. Saving the best for last, it had to be the steamed cream custard buns. These had the best sweet creamy filling. 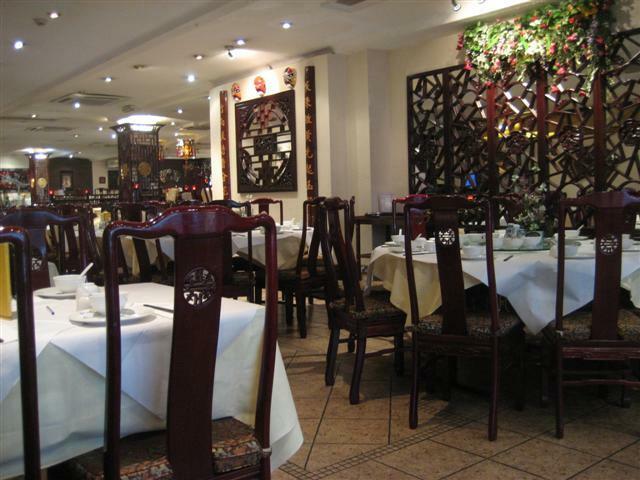 The service was really great, very friendly and efficient. 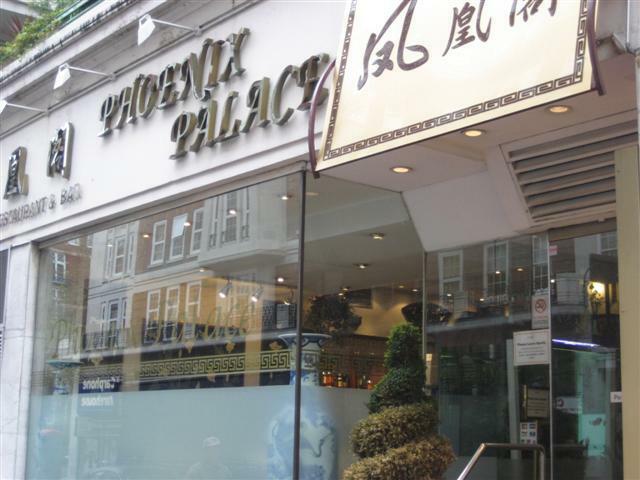 Phoenix Palace is quite a large restaurant. On the big tables, there is the rotating glass turntable so that everyone can get access to the dishes really easily. As you enter/leave the restaurant, take a look at the photo montage of the famous people that have dined at Phoenix Palace. See if you can spot the politicians, foreign officials, actors and tv presenters.